The Indian government has notified that the power sold from solar parks will result in 2 paise (around 0.03 cents) per unit, been given to the state where the park is located in. This incentive will not be given by the central government but by the developers who are using the solar parks for their solar power plants. This policy has been initiated after states like Gujarat were found to be reluctant in allocating land to solar power developers who were winning auctions from SECI which is a central agency. MNRE expects that this carrot may incentivize the states to become more proactive in giving land to solar developers. However, this scheme is a total failure because the states are anyways charging the solar park, for charges from developers in a variety of ways such as for security, maintenance, land, internal transmission etc. etc. which is a hefty amount. This 2 paisa will hardly increase the revenues much and is not a “carrot” as such. Also, the money is coming from the developers who are paying the state in the form of these other changes. Adding a new expense line item makes little sense in my view. Getting land in India has always been tough for an infrastructure project and solar power plants are no exception. Setting up solar parks was a good policy but it has not taken off as many policies due to poor execution and implementation. Given that many of these solar parks are run by state governments, they face the typical bureaucratic red tape and lethargy. Most of these parks are used by foreign developers who cannot manage the Indian ecosystem of getting approvals and the bribes that need to be paid for getting land. Solar Parks or Floating Solar? Learn more about Floating Solar plants. 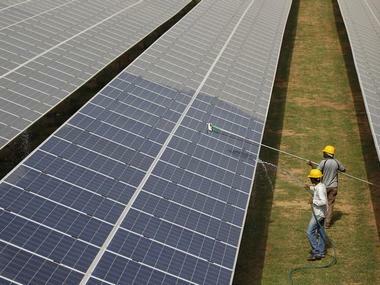 Gujarat has been taking its own sweet time in giving land to solar developers for SECI auctions. It has given land in a much quicker manner to the same developers who have won auctions organized by the state agency. Besides this problem, solar parks also face a huge problem in getting transmission infrastructure. While the parks are set up in 12 months or so, getting the interstate evacuation can take between 3-5 years leaving the solar developers in the lurch. Whether this 2 paise can solve these critical issues is a big question mark in my view.